With just two weeks until Bowler returns to the Morocco Desert Challenge (MDC), the team is making final preparations in the workshop before they set off for the start line. This will be the eleventh edition of the MDC, which departs from Plage Blanche on the 13th of April. The race follows a coast-to-coast route across Morocco from Plage Blanche on the Atlantic to the Mediterranean shores finishing on the 20th of April. 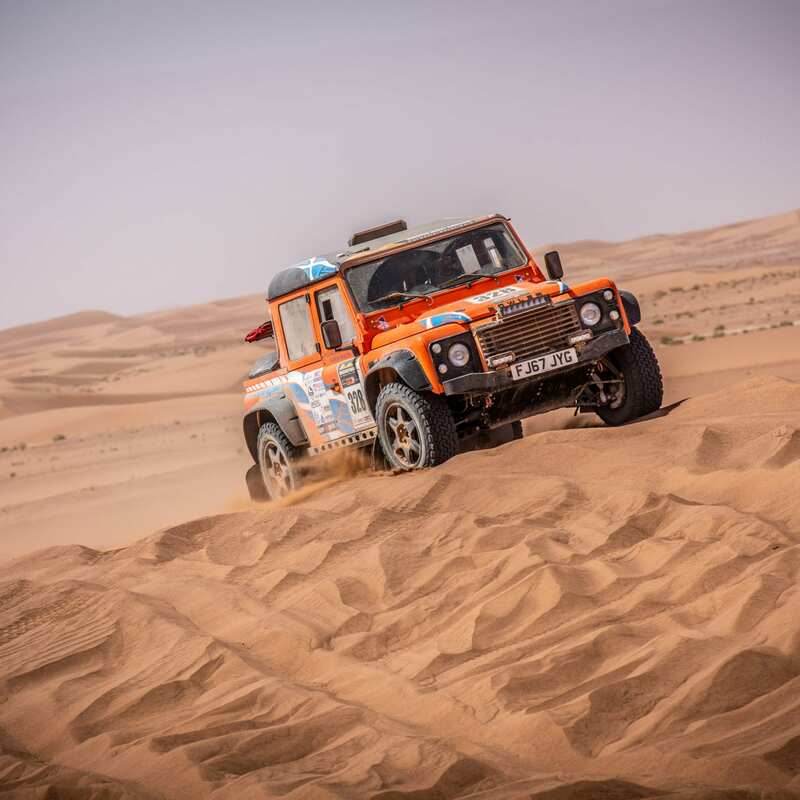 The Bowler entrants along side their fellow competitors, will travel over 2,700km through fast tracks, technical parts, vast African planes, dunes, salt lakes and legendary Dakar stages. The MDC is also unique as it will offer 0 kilometre of liaison from the beginning of the first special stage to the end of the last one. It’s simply pure rally experience. Competing in the Bowler team are: Alex Cole and Emma Osman, Liam Griffin and Rob Daniels, Greg MacLeod and Craig Bounds along with Andrew Wicklow and his daughter Holly Wicklow. All four of these drivers competed in last year’s Tuareg Rallye, where Alex Cole achieved first place. The other Bowler entrants achieved top ten places, standing them in good stead to do well at the MDC this year. You can follow our drivers’ progress on Bowler’s social media platforms: Facebook, Twitter and Instagram, where there will be regular updates. We would like to wish the Bowler competitors all the best on their race through Morocco. To view our other international events in 2019, please click here.